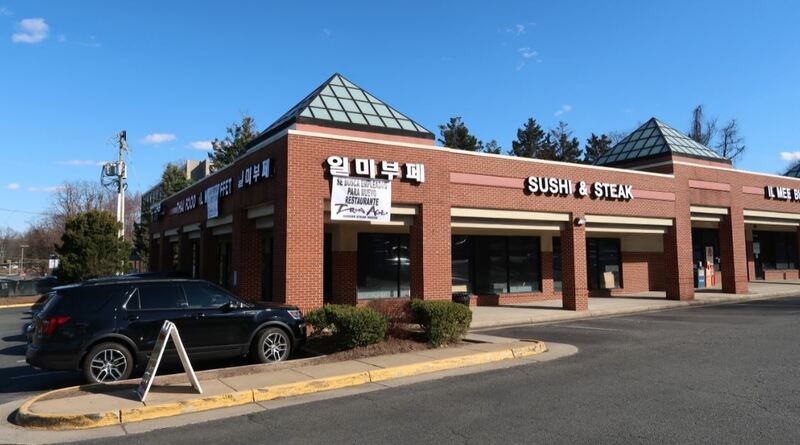 Iron Age Korean Steak House, an all-you-can eat Korean barbecue restaurant, is expected to open by the end of the month at 7031-A5 Little River Turnpike in the spot formerly occupied by Il Mee Buffet. Meat at Iron Age is cooked at the table. There are two options: For $20 a person, you can choose among 14 types of meat, such as spicy chicken, pork spare ribs, beef, and spicy pork. The $25 option has an additional five items, such as top blade steak, shrimp, and spicy webfoot octopus. The restaurant will open daily at 11 a.m. and will close at 2 a.m. on Friday and Saturday and midnight the rest of the week. The restaurant is hiring servers, cashiers, a bar tender, and a hostess. If you’re interested, call the manager, Sung Kang, at 301-250-8084. Iron Age is a chain with locations in Centreville; Baltimore and Rockville, Md., and Kennesaw and Duluth, Ga.
Another Korean barbecue restaurant, Jong Ro, is set to open soon at 7219 Columbia Pike, Annandale. For those that complain about too many Korean restaurants in Annandale, Iron Age is supposed to be one of the best spots in Cville, so this one should be popular as well. A lot better quality than Ill Mee was. This is awesome! I cannot wait to try it. I've never been to Iron Age in Centreville, but looking forward to it. Ill Mee was kind of like the golden corral of Korean food, I'll kind of miss it for that.